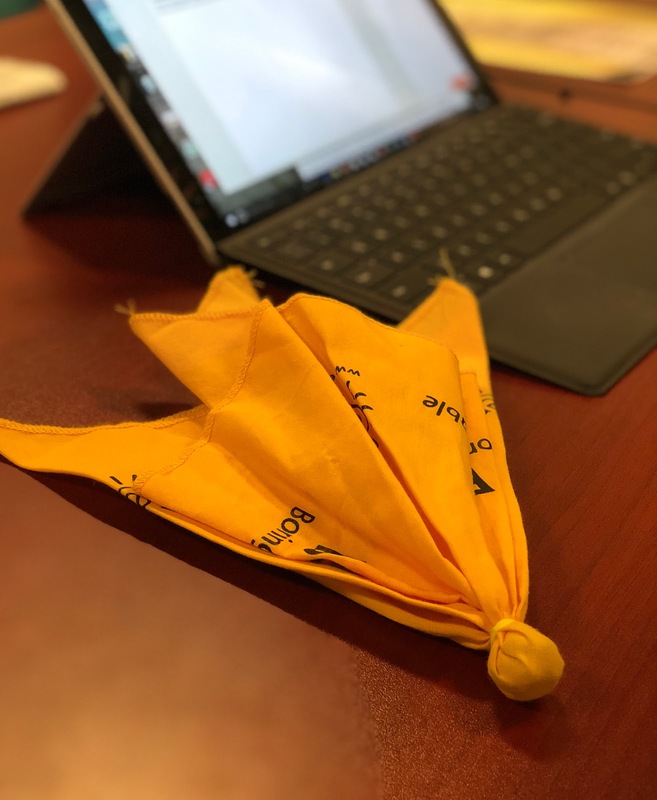 We talked about lies nothing but lies… In our PEMAC Conference table sessions we talked about some of the maintenance and reliability models and tools that we use and some of the subtleties that often aren’t understood or taught correctly. 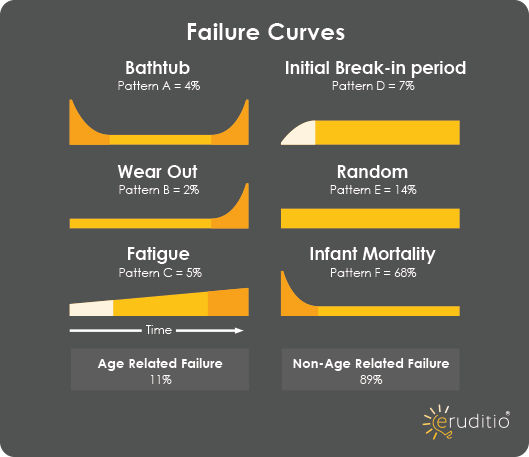 We discussed the six failure curves of RCM (Reliability Centered Maintenance) and how many think and explain them as relating to types of asset or classes of assets but in reality they relate to types of failure modes of assets. This means that one asset could have many failure modes that relate to different curves so suggesting that one of the curves represents an asset class is incorrect. 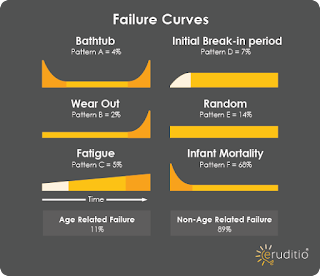 This explanation helps individuals to then understand that 68% of the failure modes are infant mortality according to the Nolan and Heap study, but 68% of the assets don’t always fail in the infant phase. It is like the difference in an ice cream shop saying 68% of our flavors have chocolate in them but it does not mean that 68% of the ice cream the shop sells has chocolate in it. Some people like vanilla and maybe a lot do. If so, you could sell a majority of vanilla even though most of your other flavors have chocolate in them. With this logic, you could have 68% of your failure modes be infant mortality but when you look at the number of failures they would be a majority of wear out because of the environment or equipment type or process. The second lie we talked about was RCA (Root Cause Analysis). The table discussed that there is no such thing as root cause because every single problem has root causes. All problems need both actions that happen instantaneously and conditions that have existed over time. The example we used was fire. Fire does not have a cause it has three causes. 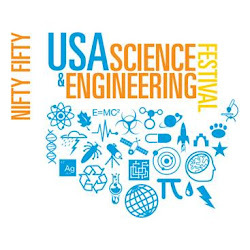 Ignition which is likely instantaneous and fuel and oxygen which are likely conditions that have existed over time. The key is it takes all three causes not just one root cause. We finished up by talking with the group about where and how they could use these learnings in their site to improve their reliability programs. Do you agree with our thoughts? Share your opinions below. You can implement big deal organizational change without a project plan but experience tells us your implementation will be slower, it will meander off track, and it will include false starts all that will create what I call "change friction" or future resistance. No one wants more change friction than is already present naturally in a project. As you are starting any implementation of a larger organizational change most sites or companies start with a gap assessment of some type then they look to close the gaps. It is a fairly simple process to get started. What happens next is where people diverge down different paths. Some build a comprehensive plan including all the task required to get from one level of performance to the next, others use the list of gaps as a check list and go after them one by one or in parallel. Some create a detailed plan but do not manage the implementation with it after the kick off and at least one organization believes you take off on your journey to increased performance and just discover your path along the way. I will be honest and tell you that I don't enjoy Microsoft Project and Gantt charts and managing projects at the task level, but that does not mean that I don't (A.) see the value (B.) demand it with in the projects I am involved in, including the projects that are my personal responsibility. It comes down to dollars and cents, projects that have good project plans that are used consistently though out the implementation are less expensive to implement, provide results sooner, and have substantially less drama. I do hate drama. Second, list any elements or task that will need to be in place before you can take the steps to close the gaps list. These are fundamental steps. Third, add in the people and change management elements like a project risk identification exercise and then the risk and communication planning steps. Fourth, look for natural order. What has to happen in what order to most effectively make the change occur. Link the task that must occur in a certain order. 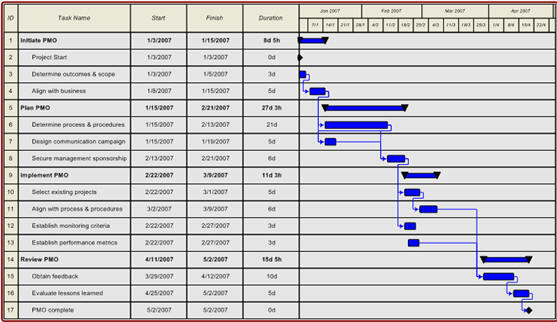 Fifth, add in project management tools like metrics, resource requirements, and schedule them at appropriate points. Last, be ready for change as this is a live document. You will add tasks as you discover them and you will change order of implementation due to unforeseen developments. Now you are ready to manage the project. Stay on it! Track completion percentages. Share progress with the teams and the sponsors. 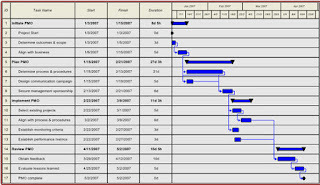 Show project creep and time line extensions. If you do even this simple level of project management you will see a faster project, with better results and less drama. If you still aren't sure you want to use a plan, then call me and I will share a few horror stories. Eruditio and HP Reliability join forces as James Kovacevic joins the team as Principal Instructor. Eruditio, LLC, a premier maintenance, reliability, and asset management professional training services company, acquired High Performance Reliability, Inc. on December 31, 2017. High Performance Reliability, Inc. is built on the belief that a profitable and stable reliability and maintenance culture is an educated reliability and maintenance culture. High Performance Reliability provides an online toolbox of assessments, real world templates, and training resources your business can implement to achieve world-class efficiency and profitability. The content provided with this acquisition will supplement Eruditio’s vast learning catalogue further strengthening our ability to identify, then prescribe a custom educational solution that allow companies to create sustainable organizational change and documented return on investment. Eruditio, LLC is headquartered in Charleston, SC aboard the USS Yorktown at Patriots Point. We’re an education firm with a difference. We know that education without application is just entertainment. That’s why we focus on building custom learning experiences to develop, refine, and apply real-world skills. Our inspired Blended Learning (iBL®) programs empower participants to take control of their learning experience. Eruditio uses blended learning techniques including instructor-led classes, eLearning modules, Augmented Reality, real-world case studies, interactive scenarios, and skills application activities within your facility or industrial environment to create a training experience like no other. When this is combined with our project based learning process and world class coaching the result is a 30:1 documented return on the training investment.